In Washington, D.C., this month, climate change headlines have focused on the Green New Deal and the establishment of the new U.S. House Select Committee on the Climate Crisis. But two months after the election of a new crop of pro-environment governors and state lawmakers, climate progress is beginning to pick up in the states they now lead as well. Gov. Jared Polis, who campaigned on a pledge to reach 100% renewable energy by 2040, reaffirmed his administration’s commitment to the target in his “State of the State” address to the legislature. “We… want to take advantage of the huge opportunities associated with being a leader in the growing green energy economy,” he proclaimed. “It’s not just about climate change. It’s also about saving money for consumers [through] cheaper energy, making sure that good paying green jobs of the future are created right here in Colorado, and making the future work for us. And today the work begins to set Colorado on a course to reach that goal.” Indeed, nine cities across Colorado have already made strides in this direction, pledging to reach 100% renewable energy in the coming decades. Polis’ bold call to action is already seeing results. In the last several months, two major utilities in Colorado, Xcel Energy, and Platte River Power Authority, have both announced their goals to eliminate carbon emissions from their energy mixes by 2050 and 2030, respectively. 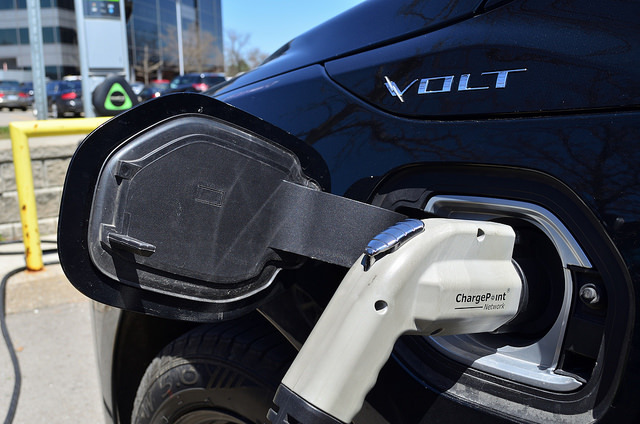 This week, Polis announced a new effort to encourage the use of electric cars, buses and trucks, including dedicating state funds to build out a robust network of charging stations. Gov. Jay Inslee proposed a broad suite of legislation in early December aimed at achieving 100% clean energy by 2045, promoting electric vehicles, and investing in energy efficiency. Inslee is working with the strengthened majority Democrats have in both the House and the Senate to pursue climate progress in light of the failure of two consecutive ballot initiatives to put a price on carbon in the Evergreen State. Just to the south, newly re-elected Gov. Kate Brown has partnered with the state legislature to move forward on a plan to pass the nation’s second economy-wide cap on greenhouse gas emissions in 2019. Following the election of more pro-environment lawmakers to both the Oregon House and the Senate, its path to victory is wider than ever. The bill has been in the works for several years now, but legislators are hopeful that their work will finally pay off this session. Leaders in the Nevada legislature plan on introducing a renewable portfolio standard bill in 2019, after their last attempt to pass stricter standards was vetoed by outgoing Gov. Brian Sandoval. Voters supported a constitutional amendment to raise the standard in a referendum in 2018, and the new Governor and legislators are being encouraged to speed its adoption through the passage of a law rather than pursuing a second ballot initiative in 2020. Constitutional amendments must be passed twice before taking in effect under NV law. Sisolak was one of the nine governors to sign the pledge to pursue 100% renewable energy by 2050, and is widely expected to support the bill. In her inaugural address, Governor Michelle Lujan Grisham spoke about the need for New Mexico to be “the national example of what a clean energy revolution looks like.” She reaffirmed her commitment to having the state reach 50% renewable energy by 2030, and 80% by 2040. Governor Andrew Cuomo won re-election in November, and with a new Democratic majority in the Senate, he has called for reaching 100% carbon-neutral energy by 2040 under the banner of a “Green New Deal.” While the details are still evolving at this point, the pledge has ignited a fresh round of conversations in the state about greenhouse gas reductions. Maine’s legislature has rekindled the conversation about climate change, starting with work on a $50 million bond measure that would help coastal communities adapt to rising sea levels. In her inauguration speech, Gov. Janet Mills made tackling climate change one of her top priorities, earning a standing ovation from the crowd. She also told the crowd to “look for some new solar panels that we’re going to install [on the governor’s residence].” Be on the lookout for more bills to curb greenhouse gases and expand renewables to emerge out of the legislature as well. The conversation around climate solutions has picked up in the post-election period. A new generation of pro-environment elected leaders has begun stepping up to meet the challenges posed by climate change head-on. Aided by the energy and passion young activists have brought to these issues in recent weeks, climate is rising to the top of the priorities list for many lawmakers. They are living proof that climate is a winning issue, and they have only just begun.